Planning a trip to Florida this summer? There are many things to see and do that will make a holiday truly memorable. Below, we’ll go over a few items that you can include on a travel itinerary here. While it might seem like something only young families with children do, you don’t need to be pint-sized to derive enjoyment from visiting one of Orlando’s world-class theme parks. Whether you choose to visit SeaWorld Orlando to check out some amazing marine animals, take a rip down one of many thrilling slides at Wet N’ Wild, or tick off a bucket list item by dropping by Walt Disney World, you are sure to have the time of your life in O-Town. Next, take a ride on the Bee Line Expressway out to Titusville, as it is the city closest to the Kennedy Space Center. Here, not only can you learn about the history of America’s space program, but you can go on a guided tour of its many workshops and hangars. Keep an eye on launch schedules, and you may be able to watch rockets blast off, carrying satellites into orbit and delivering supplies to the International Space Station. One of the most diverse cities in America, Miami is often considered to be the unofficial capital of Latin America, as nationals from many Spanish-speaking countries attend school, live, work, and invest here. 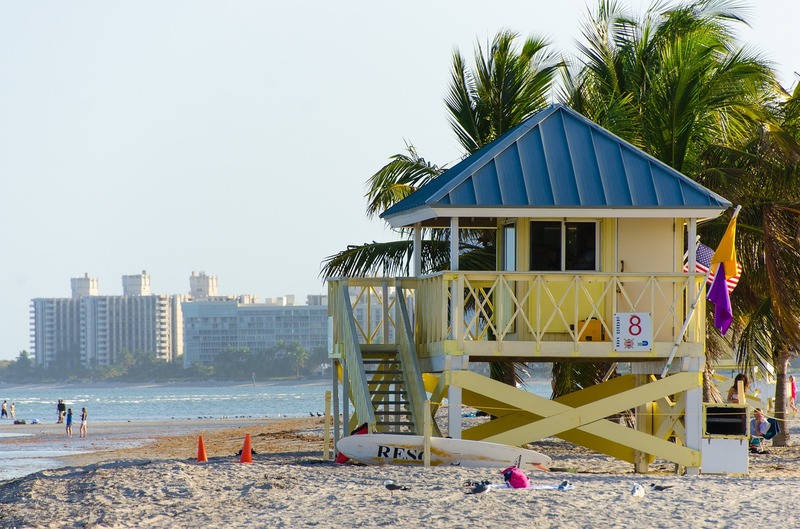 While the city has many attractions worth visiting, you and your traveling companions will probably want to spend the bulk of your time in Miami Beach. Home to some of the most popular urban beaches in the United States, there is plenty of space here to work on your tan, play beach volleyball, or play around in the waves. After dark, enjoy some of the best nightlife in the USA – just be sure to dress up sharp, as many of these establishments have strict dress codes. If the beaches of Miami are a bit too crowded for you, keep driving south of Miami and make for the Florida Keys. The only part of the continental US that has full tropical characteristics, it is home to coral reefs, flora, and fauna you’ll find nowhere else in the country. Camp in state parks, as they have sites that open up onto pristine beaches – if you do this, it will be an experience you will remember forever. Upon arrival in Key West, try some key lime pie, visit Ernest Hemingway’s cats at his old estate, and take in the devil-may-care nightlife scene on Duvall Street. Take care, as you might end up applying for Conch Republic citizenship instead of returning home.